Echo Sound Board-This sound board allows the operator to adjust the amount of reverb controlling both the volume and delay giving you that big radio sound, better overall modulation and more clear transmission. You can also use it to annoy others by messing with the adjustments. This dual control knob, by default, will take the place of the delta-tune knob on many radios like some Cobra 29 radios. Other times, the echo control knob will be installed on the side, as is often the case with some Galaxy radios like the dx939, 959 and dx979, unless other custom arrangements have been made with us. Nitro Light Rings – Colorful LED rings will be installed behind the control knobs. They can be installed behind the original knobs giving it a back-glow effect or you can choose to have Clear Knobs installed in place of the factory originals. These knobs will glow the color of the LED rings you choose. Typically, a dimmer control is installed to adjust the brightness. This knob often replaces the delta-tune knobs on most Cobra radios as that control knob is not necessary. In cases where an Echo control knob is installed in place of the delta-tune knob, the dimmer is normally installed in place of the rf gain (receive strength). The rf gain control will be bypassed, thus setting the strength to high. Clear Knobs – As explained in the Nitro Light Rings section, the radios factory original knobs can be repalced with Clear Knobs. This can be done with or without installing the Nitro Light Rings. When installed in front of the Nitro Light Rings, the Clear Knobs will glow brightly. Without the Nitros, the clear knobs simply give your radio a nice clean modern look. Channel and Meter Lights – You can choose to change the color of the channel LED and the meter light. You can also choose to change the color of the frequency display on radios that have one. As an example, the Cobra 29 LTD Classic has a green channel LED and clear meter light. If you decide to install blue Nitro Light Rings, you may also want to change the channel LED and meter light to blue. 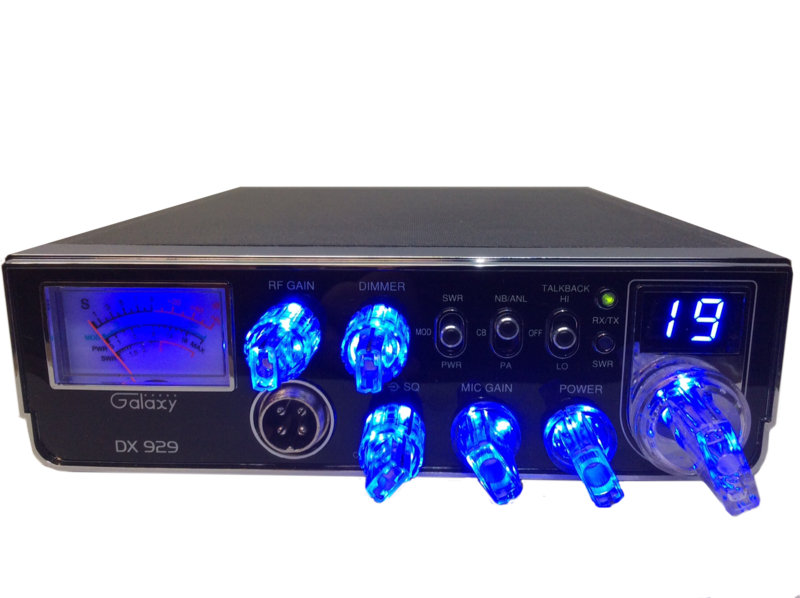 A Galaxy DX939 has blue channel LED’s, a blue meter light and a blue frequency display. If you install red nitro lights, you may also want to change the channel, meter and frequency display to red as well. Build it like you want it. This product complies with fcc regulations for Citizen Band radios, not to exceed 4 watts carrier AM, 12 watts SSB, 100% modulation. 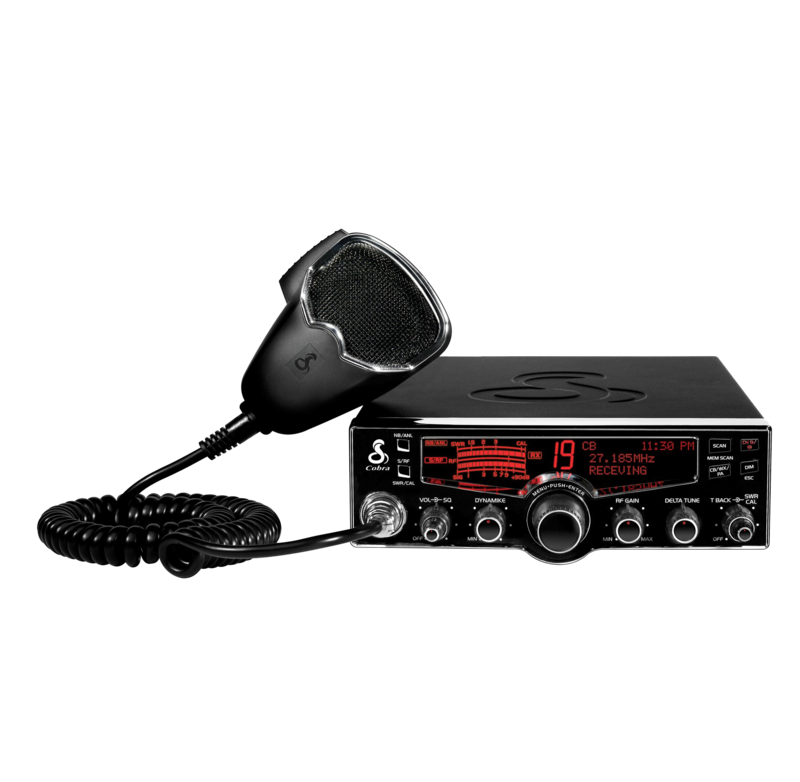 Stock radios perform well below legal limits and are not always aligned for optimum receive and transmit, therefore; we recommend taking advantage of the performance options. Feel free to contact us for any questions concerning performance enhancements.